Sorry, we are currently sold out of 'Arianna Farms Ono Kona - Kona Festival Winner'. Please check back later. 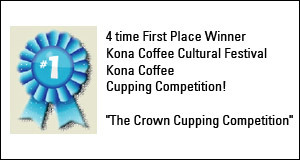 four time winner of the coveted Crown Cupping Competition at the Kona Coffee Festival (2007, 2011, 2012, 2015). A very small amount of the coffee is produced and Roastmasters/Willoughby's is one of the few companies that has it. We have had a relationship with Arianna Farms for many years. Their Ono Kona is a mixture of larger beans, not a single grade; when offered the choice of separating the coffee into multiple grades, we opted to retain the same mix that won the competition. The coffee is all washed immediately after harvest and goes through a traditional wetmill process. Varietal is a newer Typica varietal. The farm also grows 'Old Hawaiian' Guatemalan Typica brought to Kona more than 80 years ago. Like many farms in Kona, elevation does not exceed 2000 feet, however, the moist shoreline micro climate with sunny mornings and misty afternoons, along with warm tropical showers and volcanic soil contribute greatly to the unique cup. Arianna processes all its coffee through traditional wetmill processing. Coffee is grown pesticide and herbicide free. Located in Holualoa on the historic Kona Coffee Belt Road, Arianna Farms overlooks Kona and Kailua Bay. Arianna Farm's history begins as a love story. Owners Sharon and Robert first came to Kona on their honeymoon and they fell in love with the people, the coffee, and the land and knew they wanted to become part of the history of this beautiful place. 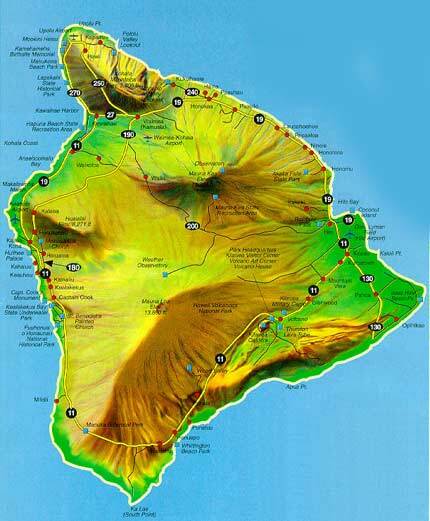 The farm possesses rich volcanic soil, along with land that is rich in history from a royal pig hunting ground for the Hawaiian King to one of the original Kona Coffee farm areas. This continues even today as friends come to hunt pig to roast for a family luau and Sharon and Robert continue to nurture and harvest the rare varietal called Old Hawaiian. Named after their daughter, Robert and Sharon consider themselves the stewards of this land and they work hard to do our best by it; they are committed to restoring native Hawaiian plants and tall trees to the farm. Working with a native Hawaiian plant specialist, they are re-introducing native species throughout the property. And, with a grant from the US Department of Fish and wildlife, they are also planting native tall trees, such as Ohia and Koa, to foster a habitat for birds in hopes of inviting a return of indigenous Hawaiian birds that have generally moved to elevations above 4000 feet. Greatly reduced crop yields throughout Kona have caused prices to skyrocket. If we could offer this coffee for less than we would. Members of Kona Coffee Council. Cup Characteristics: Very clean and sweet. Fine acidity. Mild, refined cup that is soft and subtle. Honey, hints of melon and berries. Medium heavy, round body with milk chocolate mouthfeel. Pleasantly lingering aftertaste. Harmonious balance. Roast notes: Though there are fans of dark roasted Kona we are not among them. Roast FC to FC+ to bring out the refinements of this coffee and develop its body.